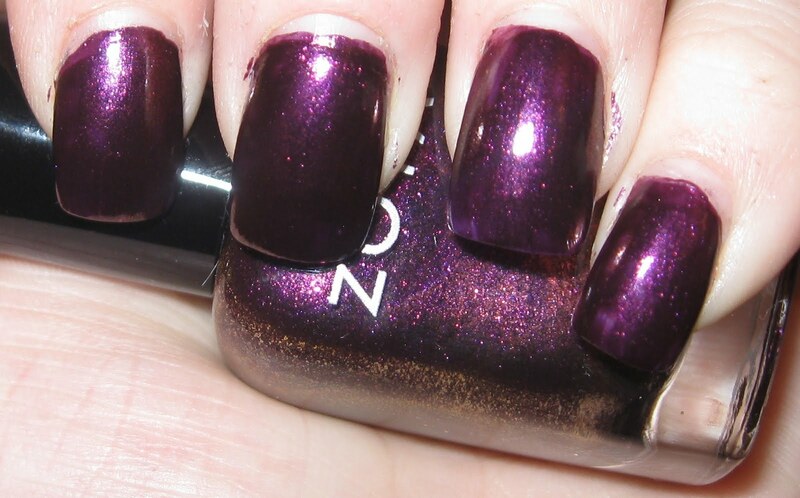 Jem was the first polish I ordered from the Smoke and Mirrors collection as part of the Buy 1, Get 2 promo way back when. I also received Cynthia and Meeka in the shipment. Now, I have the whole collection. But truthfully, Jem is my favorite and the true star of the twelve! If you look at the bottle alone, it seems as though Jem should be a duochrome. While appearances in this case are deceiving, don't hold it against her. Jem is an absolute stunner of a glass-flecked fuschia. If I wasn't undertaking the 30 Day Challenge, I would wear this color for days! 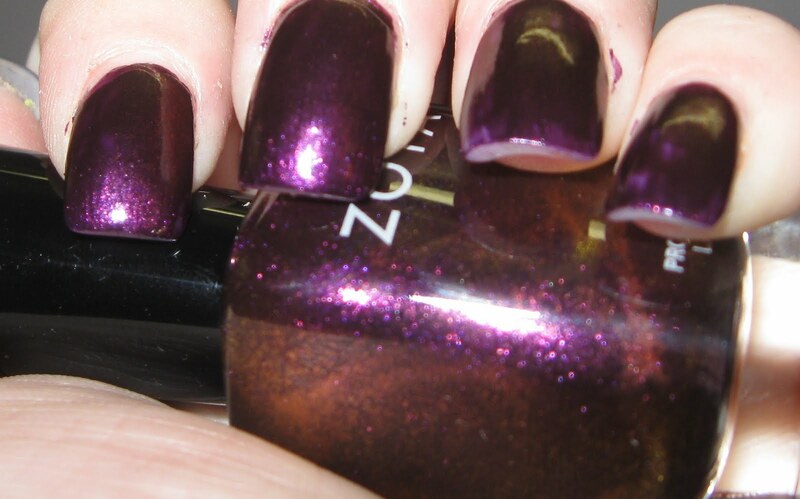 Here, from the side, you can see just how much pop this polish packs. Look at that sparkle! Alright, ladies. Time to get voting again. After tomorrow, I'm going to have some older polishes as options, so let's make this a Smoke and Mirrors theme. Pick one polish from the Smoke or Mirrors collection and leave your vote below or on Facebook. I think Tao and Marina are the standouts for me. If pressed further, I'd go with Marina. Nimue, from the 'mirror' side! Cynthia. I am trying to like dark colors like that one. I'd love to see Tao. I'm going to go with Yara. I've been wanting to get her, but I'm not sure how I feel yet.